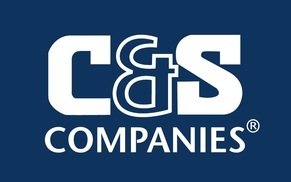 Founded in 1968, the C&S Companies are known nationwide for client-focused engineering, architecture, planning, environmental, construction, and facilities software services. Clients across the country trust C&S to deliver successful projects time and time again. Our staff of more than 500 has the expertise to handle almost any challenge. The diversity of C&S’s services is unique in the industry, with professionals in a wide range of specialized and unique disciplines. Q Ware Computerized Maintenance Management Software (CMMS) (originally titled "Que Centre") was created in 2001 with a focus on bringing simple, easy to use facilities maintenance management software to small and medium sized organizations. Since then it has grown into a powerful CMMS/ EAM suite, with thousands of users, that is part of the C&S Companies. What makes Q Ware great is its ease of use, outstanding setup and support, and it’s no cost customization that can adapt to the needs of different maintenance departments. There are various other computerized maintenance management systems available that many facility managers, I.T. managers, and business managers find too complicated or too costly their organizations. Q Ware was developed specifically for organizations that need to upgrade from paper, excel, or in-house systems and need easy adoption and integration into their operations. Q Ware has become widely adopted by K-12 schools, banks and credit unions, colleges and universities, airports, industrial companies, and health care facilities. Our philosophy is built on the belief that maintenance success is possible for all organizations, not just the ones with big maintenance budgets. Q Ware is sold as customizable modules that work independently but can also be integrated together to create a software program that meets customers exact needs. We believe customers should pay only for the capabilities they need.